Breakaway supporters storm out of Morra Hall. Angry supporters of a ‘breakaway’ Waiheke Island council stormed out within minutes of the Local Government Commission announcing its rejection of the proposal at a meeting at MORRA Hall in Oneroa today. 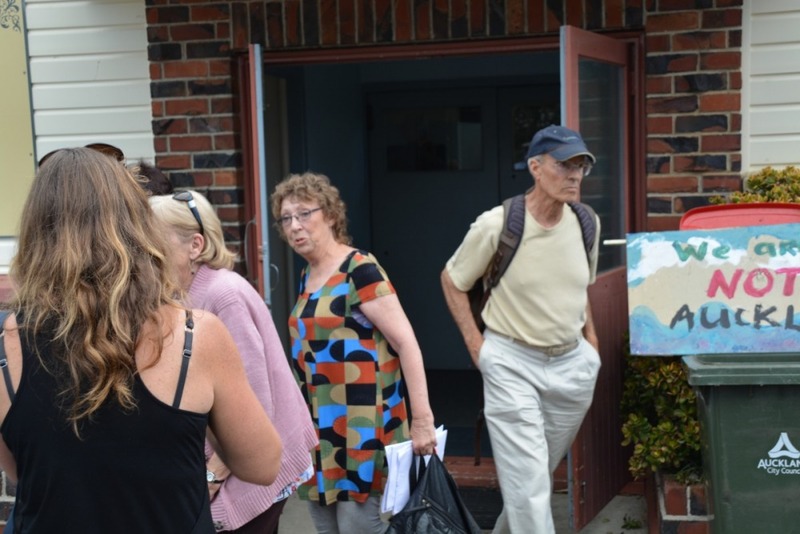 Placard-waving supporters of the Our Waiheke proposal commented “absolute disgrace”, “what a farce that was” and “greedie townies” as they left the hall. Inside the meeting degenerated into chaos as most of the 100-strong audience began chanting and stomping their feet. 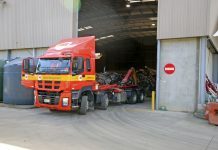 Afterwards, lead commissioner for the Auckland reorganisation Geoff Dangerfield said Waiheke lacked the resources to combine the functions of a district and regional council. Waiheke’s population was about one-fifth of the country’s smallest ‘unitary’ authority, Marlborough. The commission also rejected a bid from a North Rodney group to separate from Auckland Council. 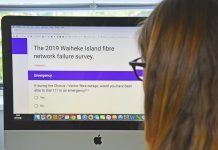 The commission says this brings to a close the Auckland reorganisation process though Our Waiheke chairman John Meeuwsen said the local group would take some time to consider its options. Mr Dangerfield said neither a North Rodney Unitary Authority, nor a Waiheke Unitary Authority met “the statutory legislative tests”. The island’s small population (9000) relative to “the technical scale and scope of regional functions, including those related to large sensitive marine environments,” made the unitary authority proposal “not appropriate”. To be considered ‘reasonably practicable’, the commission must be satisfied that a standalone council would have sufficient resources, an area appropriate to its role, contain distinct communities of interest and be able to deal effectviely with flooding and water management issues. The most critical consideration was access to the resources needed to undertake all the duties of a unitary authority, the commission said in a statement. Both proposed unitary authorities would have significant challenges recruiting and retaining professional specialist staff to deliver their statutory functions. 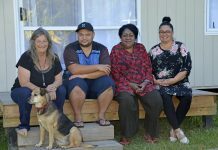 “We recognise that people do feel strongly about local government in their respective districts and some consider there to be significant shortcomings,’’ Mr Dangerfield said. “However, the commission does not consider structural change as set out in the applications will best promote the purpose of local government for the respective communities. He told Gulf News the commission would consider making future recommendations to Auckland Council on how it could improve relationships with Waiheke and North Rodney residents. Our Waiheke applied to the commission in December 2015 to form a unitary authority separate to Auckland Council. In August, a financial analysis by consultants Morrison Low predicted worsening deficits and rate rises of up to 43 percent if the proposal went ahead. Mr Dangerfield said that analysis had since been peer reviewed and the commission believed the impact on rates would have been closer to an 8 per cent rise. Next articleMonday the new Sunday?